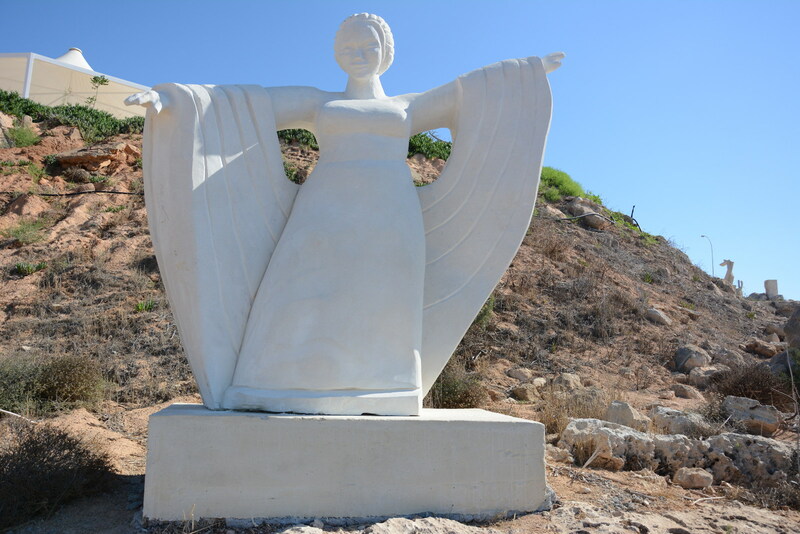 Title of the project: "THE GODDESS OF THE SUN"
Concept: ‘To celebrate the natural beauty of Cyprus and its sunny lands, my project consists in the creation of the Goddess of the sun. Rarely have we seen in history a goddess related to the sun, if not in really ancient times. I will represent her open arms, looking at the star, powerful, smiling, and expanding her solar energy to Earth. My actual model is carved in a block of molding plaster and it will be multiplied 10 times. Her hands and face will be well detailed in the monumental sculpture.